Sep 1- We had a super fun Labor day! We were able to go shopping with one of our investigators Monique! she is super cute and we are such good friends! we went to Ontario Mills mall which was fun! it felt like I was hanging out with my friends! I was able to find a few cute things yay :) sorry mom and dad haha We then were picked up by Sisters Woodward and Manumua and went to target with them to buy our food for the week. After we went to zone activity which we just all played games. it was super fun! It felt like something we would do at home. We were playing games for like 3 or 4 hours! 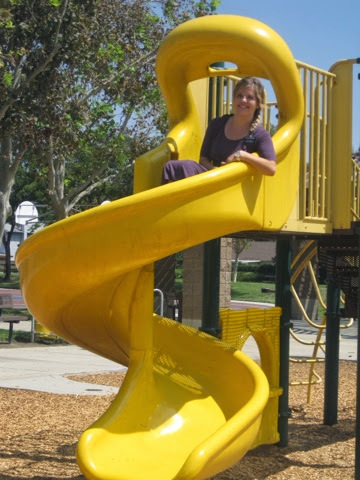 it was alot of fun. We then left and had dinner with Sister Barton and then she taught us about family history work. She showed us how to index and then she worked a little bit on my family history. I was able to find a cool story about someone but I forgot who haha oops! But it made me get excited about family history and to learn more about where and who i have come from. Sep 2- We had district meeting this morning which went well. Sister Mayall and I gave a great role play of sharing a dinner thought with a member family and then the elders did a role play of the family mission plan we have been doing in the stake. It was really good and we were all able to learn new things. Elder Paulson then gave a training which went well. We then went to the library to email! emailing on a day that isn't a monday really throws everything off haha We then went and tried visiting members and setting up appointments with them to do the family mission plan. We had dinner on our own and then headed to the Tribble's home to share the family mission plan with them. they are such a great couple! they are super sweet and loves to talk! they are both converts and he is the stake young mens president. They were excited to try and think of people they can work with. The STLs came over at about 830ish to exchange! 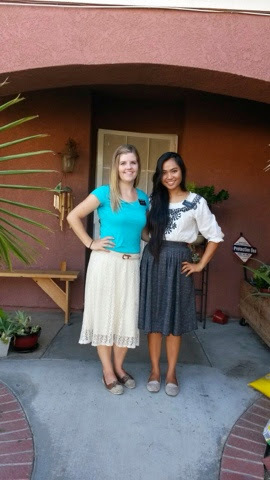 Sister Soleta and I were staying in my area while sister Mayall and Shaw went to Chino. Sep 3- Sister Soleta and I were so busy today! we were able to go tracting in the morning. and then had lunch and then went and visited with our crazy less actives! :) We visited with Dixie and we were able to set up a time to come and clean this weekend. yay her house really needs it! We then were able to stop by and visit with a former investigator Christine who i love! I had a feeling to just stop by and see how she was doing. idk why i did but we gave it a shot and she was home and actually answered her door which was the crazy part cause she never answers it unless she knows we are coming by. She said she had a feeling though to open the door! that was neat to hear her say! We had a good talk with her and then we headed to Sister T's and chatted with her. After we visited some members and did the family mission plan with them and then had dinner at Sister Bartons again. She is too nice to us! After dinner we went to young womens where we played the amazing race so that was fun! we had 2 non members there!! and a few of the young women ran up to me telling me they have some friends they want us to meet :) We then went home and exchanged back. Sep 4- We were able to meet up with our ward mates and talk about the area and update each other on what is going on and how we can better work together. We are working so well with each other its great! Its nice to see the change cause it now doesn't feel like we are doing this alone! After we visited some members and followed up on their family mission plans and then visited some less actives. We then had dinner at sister Orantes home and then went and talked with the bishop later that evening. We updated him on everyone that we were seeing and working with. He had some suggestions of people we should visit as well. it was very helpful! 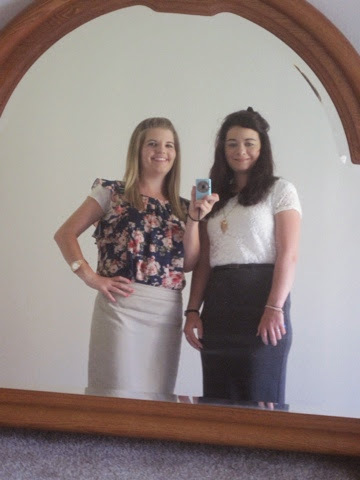 After we went to the Patersons home and did the family mission plan with them as well. Sep 5- We were able to weekly plan with the ZLs today at the Creekside building. We were with elder Smith. He is so great! and I was able to learn alot from him. Weekly planning was fun with all of us at the church. We then had lunch at the church so we didn't have to bike back to our place. After we went and visited Sister T and had some birthday cake with her. It was her sons birthday and he passed away 11 years ago and she was having a tough time and wanted us to come over and talk about him and just keep her company. We then went and visited a few members and then had a lesson with Lina. We then had dinner dropped off to us :) It ended up being a long good day! Sep 7- We had our normal church meetings. we only had one investigator at church but thats okay! we also had a few less actives that we have been working with! after we went to the Stocksdales and shared a message with them and then we went to the Hernandez family. they are our family we have been teaching but haven't been able to get a hold of. We were able to get in and have a great lesson on the Plan of Salvation and set up another lesson with them for Thursday so we are excited about that. 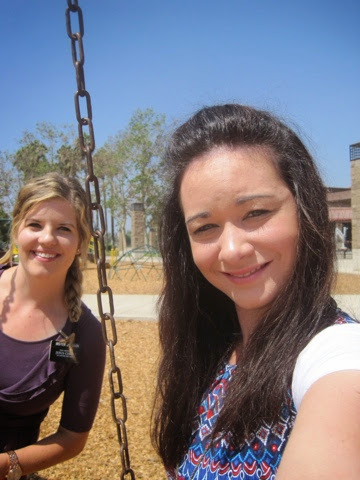 Their 8 year old daughter loves learning about it and is so excited whenever we come over and give them a chapter to read from the book of mormon. We love this family so much :) After that lesson we were able to have dinner with the Tulaks which was fun! they are quite the family! no dull moments at their home for sure!! haha we were able to stay and help with their family home evening as well.